Free screenings and counseling offered at the Boyle County Health Department. Call at 8:00 a.m. for an appointment. Walk in appointments will be accepted but appointments are preferred. Tdap vaccine for adults with or without insurance for $5.00. 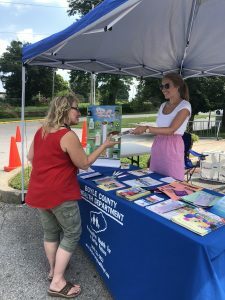 The Boyle County Health Department hosted a farmers market this summer which allowed WIC participants to double their food vouchers. We had fun informing the community about our services. It was great seeing different organizations in Boyle County partner up to make our farmers’ market a success. Pictured above is our intern Alexis Kerbaugh. 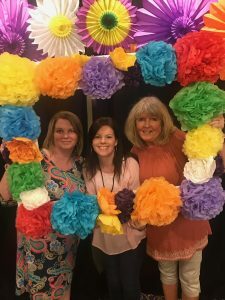 Pictured above is Amy Miller, Jennifer Larson, and Barb Bright attending the HANDS Academy this summer.